James McAvoy has mixed it up with Pennywise the Dancing Clown on the set of “IT: Chapter 2,” and apparently it didn’t go super well. McAvoy instagrammed the aftermath of his battle with the evil shape-shifting clown (played by Bill Skarsgard) during shooting. According to the post, the result was “two pulled thighs.” The photo shows McAvoy in his chair on set, using “Compresse Froide” (“cold compress” in French — the movie’s shooting in Toronto, which is sorta close to French-speaking Quebec) — to ease the pain. 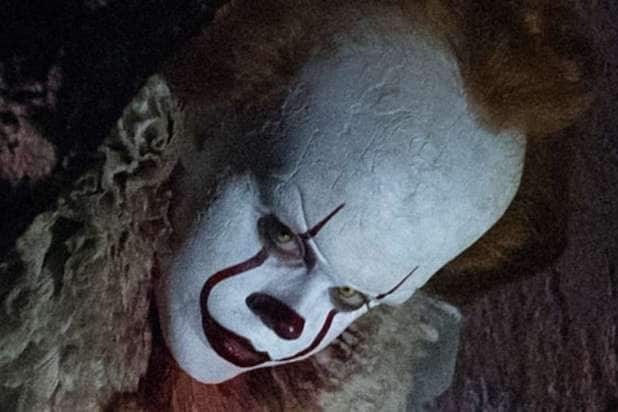 While McAvoy might have lost this go-round with Pennywise, he promised he wasn’t done with the fight against Pennywise via a hashtag: “#gonnatakehimdowntoclowntown.” We assume that, despite Pennywise being a clown, “Clown Town” is a euphemism for a beat-down and not a place he would actually want to go. In the second movie of the two-part “IT” film adaptation, McAvoy plays the grown-up version Bill Denbrough, played as a kid by Jaeden Lieberher in the first “IT.” Bill is something of the leader of the group of kids known as the “Losers Club,” and he led them down into the sewers beneath Derry, Maine, (Clown Town?) to fight the demonic clown — and they even managed to defeat it. Given the dirty look of McAvoy’s clothes and the discussion of fighting Pennywise, it’s a fair guess that McAvoy and the rest of the cast were filming what might be the climactic final battle between the Losers Club and their clown arch-nemesis. In the first “IT,” the final fight between the kids and Pennywise took place in a huge, cavernous room beneath the city, but while they hurt the clown, they didn’t manage to kill it before it escaped down a pipe. If the novel (and McAvoy’s clothes in the shot) are any indication, the final fight between the Losers and Pennywise will likely take them even deeper into the earth, to stop Pennywise from escaping a second time. Just what that final battle will be like is an open question, however. In the Stephen King novel on which the movie is based, Pennywise isn’t the true form of the creature the kids are hunting, but one of its many shapeshifting masks. The real monster looks more like a giant spider, something we haven’t seen yet. And then there’s the question of the fight itself. The movie version of the battle with Pennywise in “IT” included some spooky trickery and an emphasis on the kids refusing to be afraid of the clown, which drained its powers, but they still wound up smashing its head with a pipe. The novel battle is different — it’s all mental, with Bill facing down the spider-monster on another plane of existence, beating it with what is basically the pure power of belief. When the adults show up 27 years later, the fight with the spider is pretty similar to that battle. If McAvoy’s Bill is straining to fight Pennywise (or maybe the spider version of the clown), that suggests a more physical confrontation with the creature than what’s in the novel. That could mean that trying to predict the outcome of “IT: Chapter 2” from the way King’s novel shakes out might be a lost cause. We’ll have to wait for the movie’s release in September 2019 to find out. Stephen King's novel "It" is actually two parallel stories, about a group of seven kids fighting the monstrous clown Pennywise, and then returning to finish the job as adults. With "It: Chapter One" a huge horror movie success, here's who we think should pick up the reins in "It: Chapter Two." An essential part of Bill Denbrough is that, as a child, he struggled with a stuttering problem. Jaeden Lieberher did a solid job dealing with the stutter as the leader of the Losers Club. Edward Norton, who has a decent physical resemblance to Lieberher, has proven to be one of the best stutterers possibly ever in his turn in the 1996 thriller “Primal Fear.” When he returns to Derry, the stutter does to, giving Norton a chance to deploy those skills again. During an interview with Moviefone, the "It: Chapter One" cast discussed their picks for who would play their adult counterparts. Lieberher said he’d like for Christian Bale to play the grown-up version of Bill, and Bale is known for taking tough acting roles. He’s got few that might qualify as horror, though, and hasn’t ever had to act scared of a demonic clown or its many other manifestations. But nobody let him wear the 2018 equivalent of 1990 Bill’s ponytail, which one assumes would be a manbun. Bill's quiet leadership fits pretty well with James McAvoy's aesthetic in a lot of movies, especially his recent superhero turn as Professor X in the "X-Men" movies. He can also pull out some deep creepiness, as we saw in the M. Night Shyamalan vehicle "Split," making McAvoy an interesting choice to fight the evil Pennywise. It’s actually a bit weird how much Sophia Lillis looks like Amy Adams, selling her as the grown-up version of Beverly. Lillis’ turn as Bev was actually a more brave and often heroic version than in the 1990 adaptation, and Adams’ experience as Lois Lane in “Batman v. Superman: Dawn of Justice” and as an alien researcher in “Arrival” would probably be valuable. Sophia Lillis obviously knows what she's talking about when it comes to adult Beverly, since Chastain really is taking on the role. Since he actually played the character, Taylor might actually have the better sense for casting here. Pratt transformed his body pretty significantly for his role in Marvel’s “Guardians of the Galaxy” movies. He’d have to resist being the group’s funnyman, though --that’s not Ben, and the role is already filled by Richie. New Zealand native Jay Ryan will take on the role of older Ben, which might not be as cool as becoming Thor, but still a solid glow up for the kid. Ryan is probably best known for his role in "Beauty and the Beast" on the CW, and previously appeared on Sundance TV and BBC 2's mystery "Top of the Lake." Bill Hader was actually my first choice too, but Wolfhard stole it. As a “Saturday Night Live” alum, Hader can definitely handle Richie’s humor, and he and Wolfhard actually look a lot alike. In fact, Hader is kind of perfect for the role, and it’d be an interesting change of pace to see him outside of a comedy. Like Sophia Lillis, Finn Wolfhard nailed his casting idea. "SNL" alumnus Bill Hader looks quite a bit like Richie. The novel version of adult Richie wears contacts instead of Coke bottle glasses, but if the movie gave Hader the spectacles, he'd really look like Finn Wolfhard's grown-up counterpart. In the book and 1990 adaptation, Mike Hanlon is the only member of the Losers Club who stays in Derry. He works as a librarian and keeps watch in case Pennywise ever shows back up in town. Mike’s role might change in “It: Chapter Two,” since the historian role he plays in the book fell to Ben in the movie, but Peele could still pull off the bookish but determined version of Hanlon. Plus, Peele’s a major horror fan. 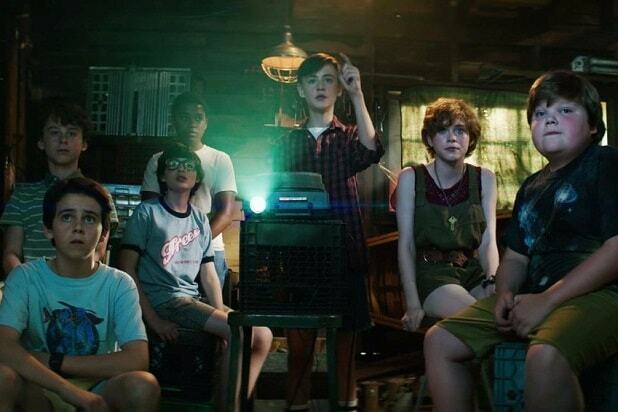 If the kids from “It: Chapter One” have their way, two Marvel superheroes will show up in the Losers Club, which doesn’t sound very loser-y. That said, Boseman would definitely bring the role the gravitas that Mike needs as the “lighthouse keeper” who’s waiting for the monster, and who manages to reunite the Losers and convince them to keep their promises. Isaiah Mustafa is probably best known for his role as Luke Garroway on Freeform's "Shadowhunters," and as the ripped Old Spice Guy who isn't Terry Crews. Chosen Jacobs announced the casting on his Instagram feed. Gyllenhaal is also a pretty good fit for Eddie’s future self. He can handle Eddie’s hypochondriac intensity and can handle both the comedy aspects and the horrified freaking out that Grazer brings the character, and it helps that the pair have a similar look. The real Eddie, James Ransone, brings some horror chops to "IT: Chapter 2." Ransone has done some monster hunting in the past as the deputy from "Sinister" and "Sinister 2." Of all the Losers, Stan Uris has the toughest time dealing with what he’s seen of the creature, and he’s come the closest of any of the kids to death. That’s a bit of neurosis that Braff could definitely handle as he struggles to come to grips with the promise he made and the need to return to Derry. Another good pick from the “It” kids, Gordon-Levitt is definitely someone could handle Stan’s overwhelming fear of Pennywise pretty effectively as an actor. 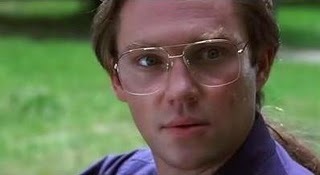 We could also stand to see him back in a horror movie after his stint in “Halloween: H20” back in 1998. Andy Bean is set to take on the role of Stan in "IT: Chapter 2," and he has some genre chops to bring with him. Bean has had roles in "Allegiant" and "Transformers: The Last Knight," and also as one of the main cast in the Starz show "Power" for the first three seasons. If you thought local bully and homicidal pre-teen Henry Bowers died in "IT: Chapter 1," you weren't the only one. Apparently, Henry's fate is a little more undetermined. If Henry returns for more homicide attempts against the adult losers, we think Michael C. Hall's turn as a killer in "Dexter" would be useful prep. Hall will need to bring it a great deal more wild-eyed malevolence than he did Dexter, though. The reason we know Henry survived the events of "IT: Chapter 1" is because Teach Grant will be playing him. Grant is also bringing a lot of horror movie experience to the proceedings, having appeared in "The Tall Man," "Leprechaun Origins," and "Devour." He recently also appeared in Netflix's sci-fi series "Altered Carbon."